Main interests: Geography, Mathematics, Medicine, Neuroscience, Psychology, Science. 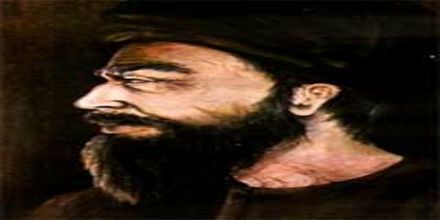 Abu Zayd Ahmed ibn Sahl Balkhi was a Persian Muslim polymath: a geographer, mathematician, physician, psychologist and scientist. Born in 850 CE in Shamistiyan, in the province of Balkh, Khorasan (in modern-day Afghanistan), he was a disciple of al-Kindi. He was also the founder the “Balkhī school” of terrestrial mapping in Baghdad. He was died in October 31, 934 AD. Of the many books ascribed to him in the al-Fihrist by Ibn al-Nadim, one can note the excellency of mathematics; on certitude in astrology. His Figures of the Climates (Suwar al-aqalim) consisted chiefly of geographical maps. He also wrote the medical and psychological work, Masalih al-Abdan wa al-Anfus (Sustenance for Body and Soul). His Figures of the Regions (Suwar al-aqalim) consisted chiefly of geographical maps. It led to him founding the “Balkhī school” of terrestrial mapping in Baghdad. The geographers of this school also wrote extensively of the peoples, products, and customs of areas in the Muslim world, with little interest in the non-Muslim realms. In Islamic psychology, the concepts of mental health and “mental hygiene” were introduced by Abu Zayd al-Balkhi, who often related it to spiritual health. In his Masalih al-Abdan wa al-Anfus (Sustenance for Body and Soul), he was the first to successfully discuss diseases related to both the body and the soul. He used the term al-Tibb al-Ruhani to describe spiritual and psychological health, and the term Tibb al-Qalb to describe mental medicine. He criticized many medical doctors in his time for placing too much emphasis on physical illnesses and neglecting the psychological or mental illnesses of patients, and argued that “since man’s construction is from both his soul and his body, therefore, human existence cannot be healthy without the ishtibak [interweaving or entangling] of soul and body.” He further argued that “if the body gets sick, the nafs [psyche] loses much of its cognitive and comprehensive ability and fails to enjoy the desirous aspects of life” and that “if the nafs gets sick, the body may also find no joy in life and may eventually develop a physical illness.” Al-Balkhi traced back his ideas on mental health to verses of the Qur’an and hadiths attributed to Muhammad. Abu Zayd al-Balkhi was the first to differentiate between neurosis and psychosis, and the first to classify neurotic disorders and pioneer cognitive therapy in order to treat each of these classified disorders. He classified neurosis into four emotional disorders: fear and anxiety, anger and aggression, sadness and depression, and obsession. He further classified three types of depression: normal depression or sadness (huzn), endogenous depression originating from within the body, and reactive clinical depression originating from outside the body. He also wrote that a healthy individual should always keep healthy thoughts and feelings in his mind in the case of unexpected emotional outbursts in the same way drugs and First Aid medicine are kept nearby for unexpected physical emergencies. He stated that a balance between the mind and body is required for good health and that an imbalance between the two can cause sickness. Al-Balkhi also introduced the concept of reciprocal inhibition (al-ilaj bi al-did), which was re-introduced over a thousand years later by Joseph Wolpe in 1969.